Shanghai Material & Equipment Group Import & Export Co., Ltd. is approved by R.M.B. We are organized according to the modern times enterprise system and subordinate to the Shanghai BL (group) limited company. Our resisted capital is 11million. Since 1999 we focus on managing the import’s and exports operation, our company’s scope of commodity and scale has been progressively increased year by year. Now we are engaged in imports and exports of various kind of materials : Steels , furnace charge , nonferrous metal , wood and products , plywood , automobile (including car ) and parts , fuel oil and chemical industry product , natural rubber and building the material five metals , mechanical and electrical product and light product , crap plastics , crap steel , crap aluminum and waste paper etc. spinning the commodity to seek certainly and accept the imports and exports vocational work entrusting acting on behalf of and The technology imports and exports operation work. 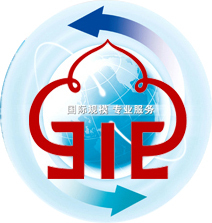 We undertake joint venture’s management, cooperating to produce, material process , compensation trade, barter trade and transfer trade operation .Our company has authorization of whole nation and can declare at customs at each port of the whole nation .Our company relies on Shanghai BL (group) limited company’s the interior trade management of each professional system and manage the internal trade and consulting service which related to the imports and exports operation .Our advantage is integration inside and outside possessing .